A spiritual community that hopes to aide in the spiritual growth and journey of the average individual. 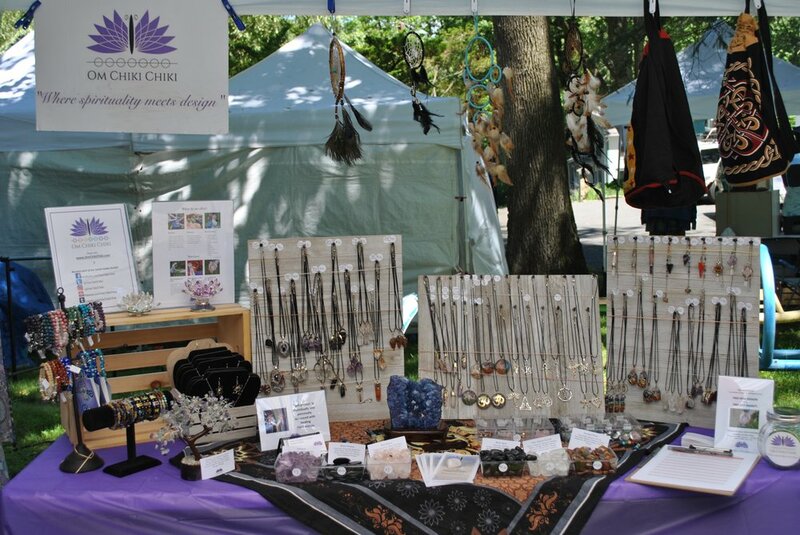 Om Chiki Chiki was founded in Spring 2016 to aide in the spiritual pursuit of the average individual. We are based out of Central New Jersey with our target consumer online across the United States and beyond. When one pursues spiritual growth, they should not be limited by any means. As a community, we aim to provide knowledge and tools to enhance your practice. We hope to help heal and flourish. We offer a community and network to help others, while growing ourselves. We aim to provide a wide-ranged abundance of resources and community for any being searching inner peace. We value providing these resources in an easy to understand manner, at a reasonable price, to be obtainable by anyone. We integrate values from many ideals of practice including Reiki, Chakras, Auras, Intentions, Meditation, Yoga, Hinduism, Buddhism, Wicca, Paganism, Angels and integrates tools such as crystals, incense, oils, pendulums, healing wands, as well as numerous more items and ideals. We hope you find love and light with us, and welcome you with open arms to join our community! Taylor founded Om Chiki Chiki in spring 2016. She is a 23-year old college student. She is a Reiki Master-Teacher and a certified Crystal Healer. She began her Reiki 1 training in Spring 2016, and her master training in Spring 2017. She is also currently enrolled in her 200hr Yoga Teacher Training, as of Fall 2018. She is a board member of New Jersey Association for Reiki Practitioners beginning in Spring 2017. She is also on the board for the Rutgers Yoga and Reiki club for multiple years. She has two degrees in Business Administration and Philosophy, earned in 2015. She studies Philosophy and Religion at Rutgers, and studied religion abroad at the Jiva Institute in Vrindavan, India in Winter 2015-2016. She has experience and roots in Reiki, Yoga, Hinduism, Buddhism, Wicca, and many other spiritualities and practices, to bring together for a unique spiritual practice. Where did the name Om Chiki Chiki come from? Om Chiki Chiki was named after a commonly used mantra by a dearly beloved passed on soul. This phrase was used in times of distress, often as a joke, but positive nonetheless. It has become a loving reminder of this soul's presence and positive influence in life. It reminds us not to sweat the small things, find beauty in everything, and enjoy the moment. It reminds us to keep fighting our battles. Dedicated in loving memory of Cody Murphy (1994-2014).